Finally, it wouldn’t be an exhibit worthy of our Guinness World Record without a massive display of helmets from the collection here at Rancho Obi-Wan. From the very first licensed helmet by Don Post to high-end collectibles and detailed cosplay replicas, from fan-made to artform, this colorful display will have you mesmerized. All current supporting Members of Rancho Obi-Wan will be emailed a “lightspeed pass” allowing them to bypass the queue into our exhibit at Celebration. Current supporting Members of Rancho Obi-Wan are offered an exclusive patch commemorating the 20th Anniversary of Episode I and featuring Darth Maul. 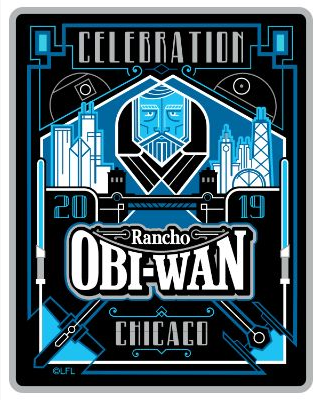 Only current supporting Members can order the Celebration Chicago specific items online, however they will be available to all attendees of Celebration at our booth in Chicago. These items will not be made again. All other items, like our new line of stoneware shown above, are available online to the general public though February 28th! 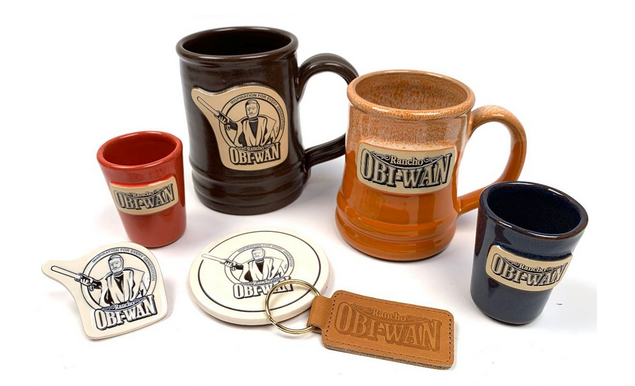 Support Rancho Obi-Wan–Buy Now!